Goa.. The first things that come to your mind when you hear the word GOA are beaches and booze. 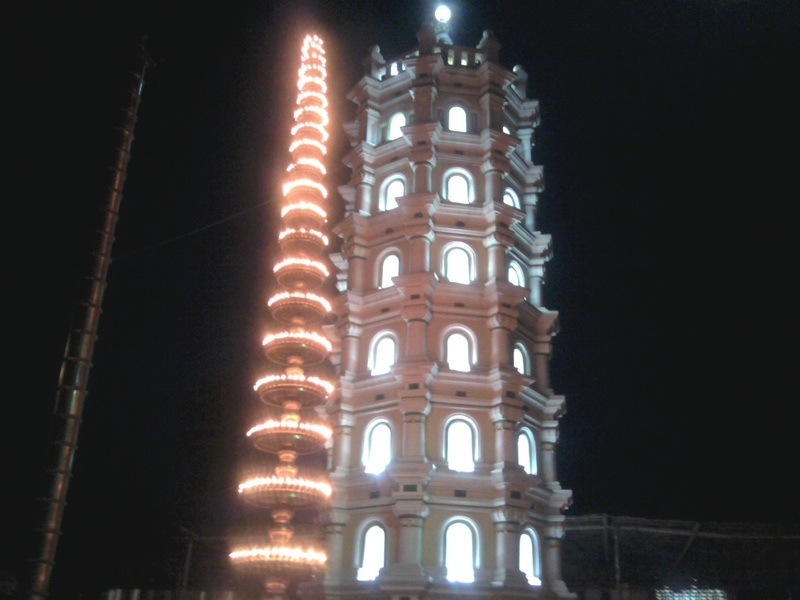 I visit Goa every year for a totally different purpose, "TEMPLES". Yes, you read it right. Most of you would have heard people going to Tirupathi, Haridwar, Vaishnodevi temple etc. 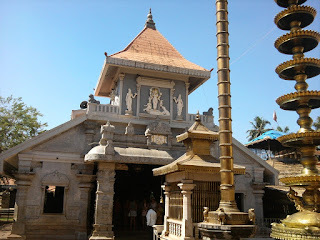 Well for our family its Mahalasa temple in Goa. There is a whole history behind Goa which is less known to everyone. Before the Portuguese came to India, Goa was a place for all the GSB's (Gowda Saraswath Brahmins). When the Portuguese tried converting people from Hinduism to Christianity the people there, left Goa and settled across the coastal belt of Karnataka and Maharashtra. But the temples still remain in Goa. Each family has a Kula-devatha, the main deity that they worship in their family. 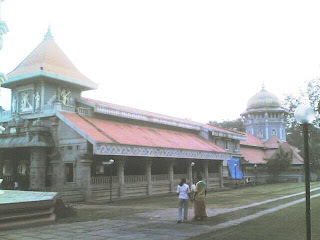 The temples for these Kula-devathas are mainly in Goa. Each temple has a history and the decorum of the place beyond explanations. Having said the above, my parents get together with other relatives and go to Goa every year. We visit 4 temples on our every visit. Participate in the prayers, seek blessings and pray for health and wealth as everyone does. We usually go on a 2 day trip. 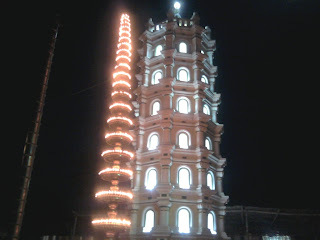 The first 1.5 days is for temple visits and half of the second day is for exploring Goa. I have visited all beaches (family kinds) in Goa. Also been to churches and other places of historic importance. 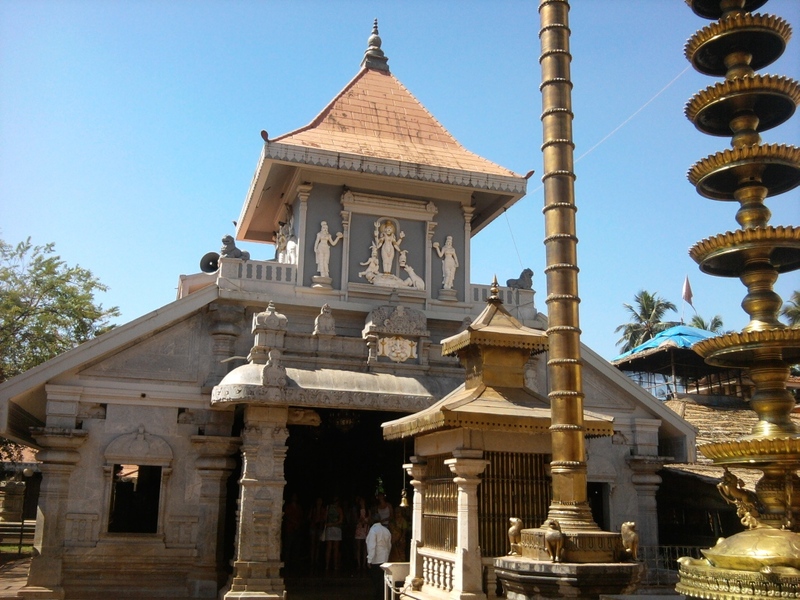 So next time you go to Goa, apart from beaches and churches do visit some temples. 1. The history above is what was told me by my parents/grandparents and i do not know how true it is. You know, I've only been to GOA once. ANd i never even knew that there were temples in Goa. :-0 Nice post. maybe next time I might take a look at them. If i ever go again.